6. Select the drive that contains your temporary directories. This is likely to be your "C" drive. 7. Press OK - at this point it will take a few minutes while it gathers information. No changes are occurring yet. 9. 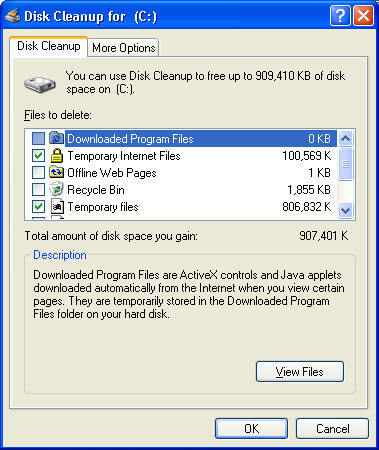 Pick the items you want to cleanup, the one applicable to this situation is "Temporary Files". Press OK, when ready to perform the cleanup.